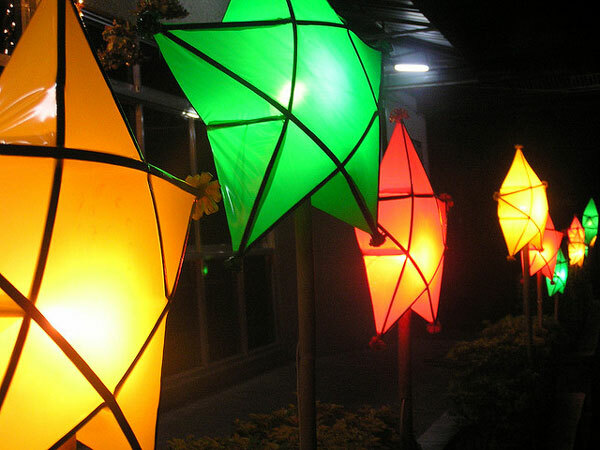 The Filipino version of the Christmas lantern is called a parol. The traditional lantern is a five-point star made from a frame of bamboo sticks covered with colored Japanese paper or cellophane. 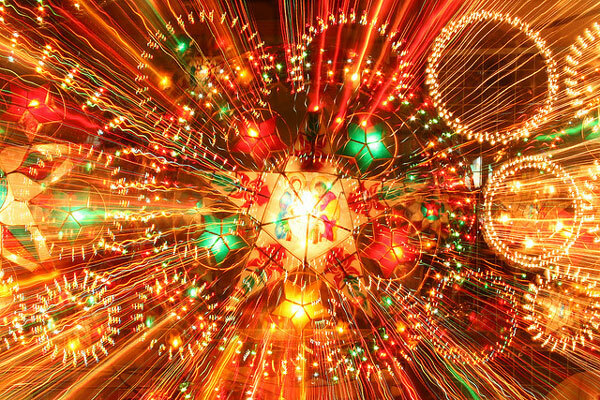 Originally, a lighted candle is placed in the middle of a parol to provide light during nighttime but due to fire accidents, led lights and twinkling lights have replaced the candles. The parol represents the star of Bethlehem that the Three Kings used as their guide on their way to find the Child Jesus. It is often hung outside of windows, in balconies and over a belen or crèche. 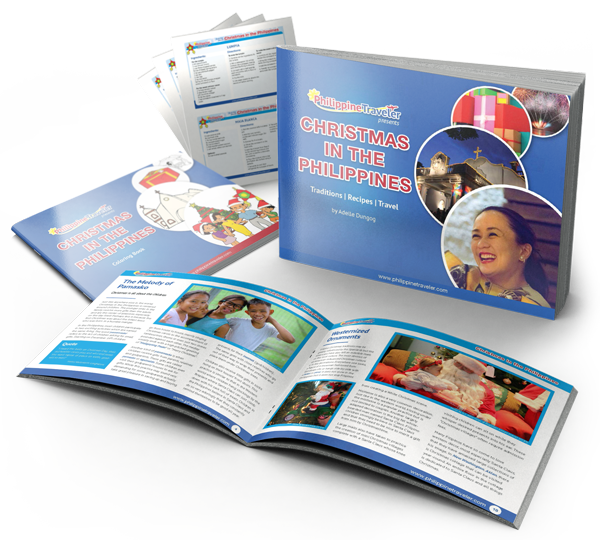 Every Christian Filipino household has a parol which is either bought or made by the children of the family. 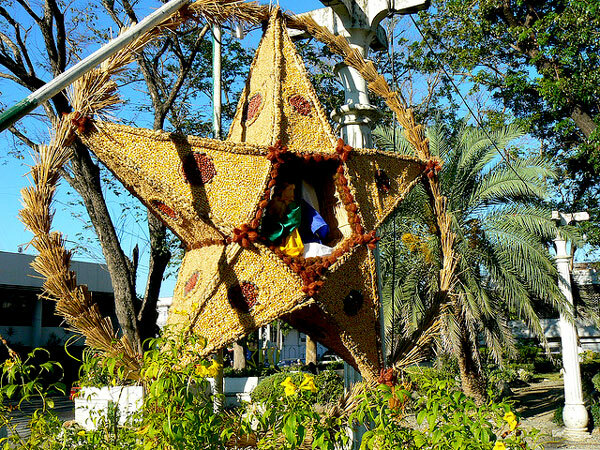 The parol has evolved over the years and one can find a wealth of different designs of parols, ranging from intricate giants made of Capiz shells to simple stars fashioned from recycled material like drinking straws and newspapers. Schools, church groups and companies hold parol making contests to encourage the participants’ creativity and promote the use of recycled and indigenous materials. The Giant Lantern Festival in San Fernando, Pampanga is perhaps the best showcase of the modern parol. There are no simple stars in the festival, nor are there small ones. 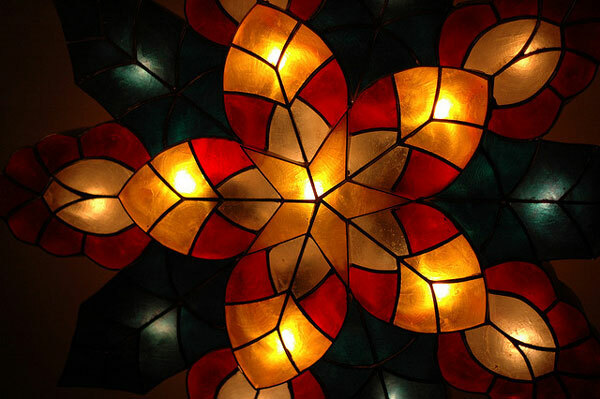 The festival, also known as Ligligan Parul, is a competition for the biggest and brightest parol. Modern technology is often used in making the parols for the festival. Makers use software to program the light sequence and colors to make sure they “dance” to the tune of a pre-selected Christmas song. Don’t forget to bring a camera if you’re planning to witness this event.